With the end of the Beast from the East, it’s time to declare winter officially over (fingers crossed). We now look forward to longer and warmer days with more settled weather. Many of you will be planning for your next financial year and with that budgeting your marketing strategy. 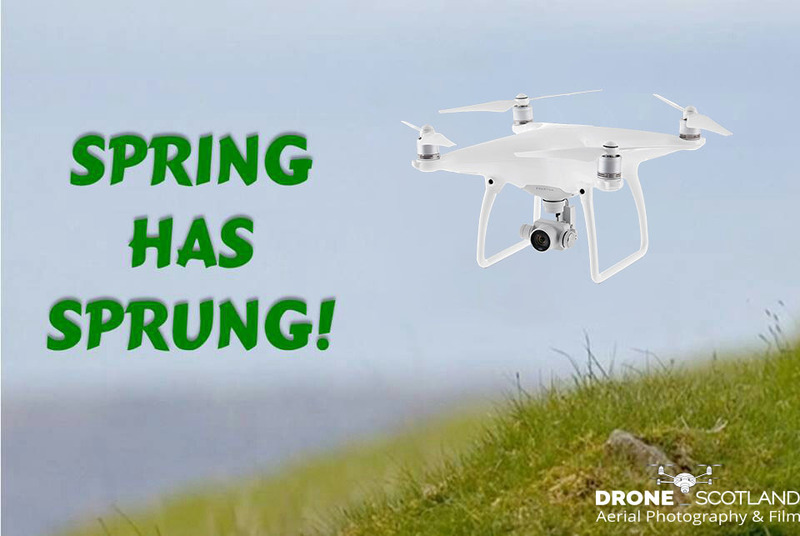 So, at Drone Scotland, we are running an Early Bird promotion to help you get the most for your money. £600 Promotional Production of your location. We will arrive on site and record both aerial and ground footage of your location as well as capture the surrounding area. Our equipment includes ultra high definition ground and aerial cameras which also record in full 4K. Give us a copy of your high resolution logo as well as any text you would like included and we will produce a promotional video which will help drive traffic to your business. In addition to this, we will provide you with professional imagery to help both your website and any promotional material that you have. What do we receive? A minimum of 20 UHD images (mixed between ground and aerial photography) and a produced video with a maximum duration of 120 seconds. The video can contain a royalty free audio track or we can add your own track should you have one. Your logo and any text you choose can also be added. Please allow us 1/2 a day to complete the work on site before returning to our office to edit. We would like a few extra services added. Can we do that? Of course you can. Book this promotion and we will take 20% off any other services purchased for the same day. Are there any special terms and conditions? Our standard terms will be issued. The discounted rate only applies when the full invoice is settled within 14 days of the footage being supplied. Should the invoice not be settled within this timescale, the undiscounted rate of £770 will be applied. No travel costs for locations within 60 miles of our office at G71. Rate includes up to one re-edit of the completed video. Contact us direct to find out more by clicking here. Your project does not have to commence in March for the discount to be applied however a £100 non refundable deposit will have to be paid to reserve the discount till later in 2018.